I plan to go back during the winter break and get more footage to add to this timeline throughout the year and especially if I get access to the area that is under development. Last weekend, Clio, Zoe and I drove to Pennsylvania to explore the mining town Centralia. We explored the options of investigating Lynnewood Estate, and spoke with the real estate broker tasked with selling the house. However, he quickly told us we would not be granted access, and he already had drone footage of the house so that pitch didn’t work. As for Dudleytown, it also seemed obvious that for a three week project, it would take us too long to get permission and find people to talk to, so we thought it would make more sense to find a place where we would not require permission to access, and would have an interesting story to tell. This Pennsylvania mining town is known because it has been condemned due to a mine fire of 1962, leading to the abandonment of the town, with only seven residents remaining to live out their natural lives. It has inspired many horror tales, from Silent Hill to other manifestations of Hell, despite the fact that no one had ever died as a result of the continuous fire. However, the images of smoke emerging from the ruptured ground and the wasteland of an abandoned township made it ripe for myth-making. Our project is to explore how people’s fascination of an interesting myth shape the exploration of what is essentially a quaint area that is anything but terrifying. 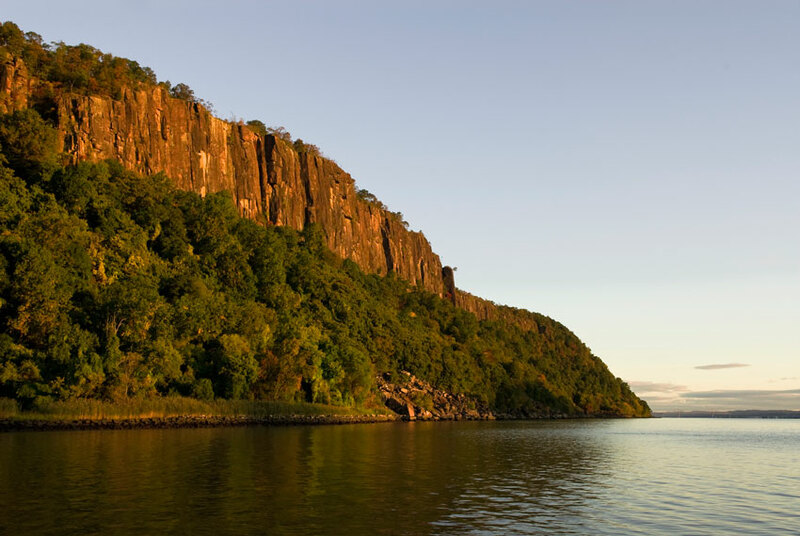 The Palisades are among the most dramatic geologic features in the vicinity of New York City, forming a canyon of the Hudson north of George Washington Bridge, as well as providing a vista of the skyline. Palisade is derived from the same root as word pale, ultimately from the Latin word palus, meaning stake. The Lenape called the cliffs “rocks that look like rows of trees”, a phrase that became “Weehawken”, the name of a town in New Jersey which sits at the top of the cliffs across from Manhattan. Founders of the #StopLG movement leaders and politicians working to save the Palisades and prevent the large LG headquarters from being built atop the Palisades. In the 1910s, when Fort Lee was a center of film production, the cliffs were frequently used as film locations. The most notable of these films wasThe Perils of Pauline, a serial which helped popularize the term cliffhanger. The Lenape called the cliffs “rocks that look like rows of trees”, a phrase that became “Weehawken”, the name of a town in New Jersey which sits at the top of the cliffs across from Manhattan. The basalt cliffs are the margin of a diabase sill, formed about 200 million years ago at the close of the Triassic Period by the intrusion of moltenmagma upward into sandstone. The molten material cooled and solidified before reaching the surface. Water erosion of the softer sandstone left behind the columnar structure of harder rock that exists today. The cliffs are about 300 ft (100 m) thick in sections and originally may have reached to 1,000 ft (300 m). During the 1800s, millions of cubic yards of Palisades basalt and diabase were extracted at the Englewood Cliffs quarry for railroad ballast and aggregate that helped to build New York City. A sandstone layer was also mined and used to construct many of the famous New York brownstone buildings. 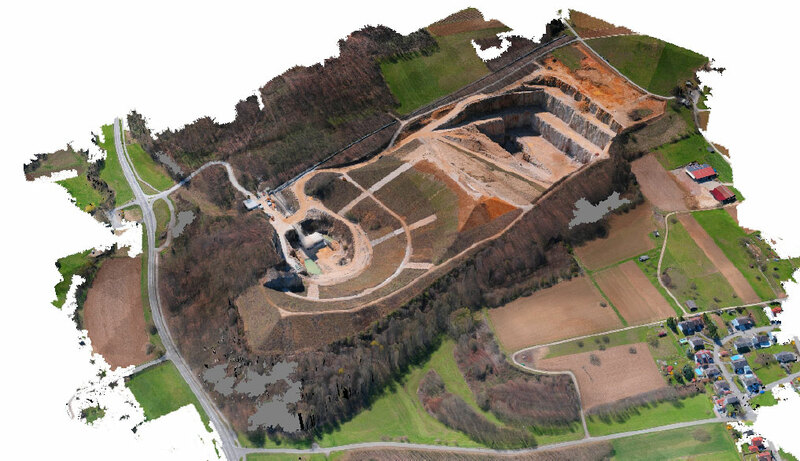 From a Young Naturalist: Adjacent to Rockland State Park is the Tilcon Quarry, where I stopped to see what was currently being done with the diabase from the sill (Figures 9 11). Upon arriving at the quarry, I immediately noticed gigantic piles of different-sized rocks. Each pile was composed of rocks of a larger size than the one before. Continuing around the quarry, I could see the conveyor belts running through machines that break the rocks into the smaller pieces, which were then sorted by size and made into the piles I had seen earlier. The Palisades is not only rich in geological history, but in economic history as well. During the 19th century, the durable diabase was used for constructing buildings. Many of the early homes in the area, including many of New Jersey’s historic Dutch farmhouses, were built from the red sandstones, as were the brownstones of New York City. Right after the Civil War, large amounts of rock were shipped to New York and other cities to become “Belgian” paving blocks. Most of these rocks were gathered from the talus slopes at the bottom of the sill. The forces that have shaped the Palisades are still going on today. Large chunks of diabase are still tumbling off the sill, due to physical weathering, and large portions of the exposed rock are becoming rusted and eaten away by chemical weathering. Despite man’s past destruction of the Palisades, it looks like our effect on the Palisades has become benign for the time being.